The Brave Boys of Derry is a true historical narrative of how courageous young apprentices helped save their besieged Protestant town of Londonderry in 1689. Rev. Christopher Hoops, Founding Theology Editor for NPI, stumbled on this little book republished by the Mourne Missionary Trust in 1986 but long since out-of-print, and made it a valued addition to his library. . . . It was his fervent wish that this be republished and made available to another generation of youth. With his characteristic charm and in that hope, he bequeathed his treasured rare copy to me, from which this new publication was derived. 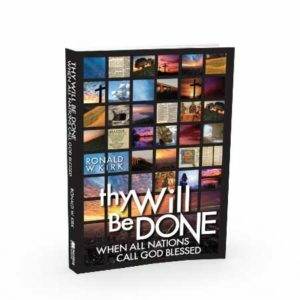 It is in grateful appreciation for his fruitful life lived for Our Lord, his offering of this rare and valued text for re-publication, and fond remembrance of his personal friendship that I dedicate this historical book expounding the virtue of courage to his memory. “I’m not usually sure what to expect when I begin reading a book that is written about history when it involves the history of the Reformation as it’s a fine line between belittling one side or the other but in the Brave Boys of Derry – the facts are given in a straight forward and eventful manner. In 96 pages the reader travels back to the town of Londonderry in the year 1689 which is under siege. There we see what young boys are capable of, including calling others to stand up for their faith. All too often in our modern society we tend to coddle our boys; instead of letting them develop into men we try to keep them boys longer and longer and this does our society no good – but back in the days of the Brave Boys of Derry, boys were trained to be men at younger ages and given responsibilities that today would be unheard of under the guise of making sure they have fun and are happy. I read your book about the siege on Londonderry, The Brave Boys of Derry, and was riveted by the courage and principles and sacrifice and facts in this true story. I never heard of it before because I was government schooled. I recommend this book highly for parents to read to their boys or boys to read themselves. It will build character! When the people found out about King James II was about to wage war against England and Protestantism, using Ireland as his point of attack it was noticed that the Roman Catholic was putting aside their pikes and knives and the priest was preaching and reminding the poor people that the wrath of God was approaching. The city was not intended for a siege so it was overgrown with grass and weeds. It was well known there were traitors within the gates of the city, and the Governor of the city was a man named Lundy. He was ready to hand over the city to the enemy so as he slipped out of town the gates had been left open and the keys had disappeared. Two Governors were elected in place of Lundy as they started to take over, one was over the ammunition as they awaited the attack. This little book is full of history and a great read for any age. The author W. S. Martin decided to make the journey to Londonderry in the early 1900s. In the back of the book is a poem written by Mrs. C. F. Alexander which is 8 pages long. 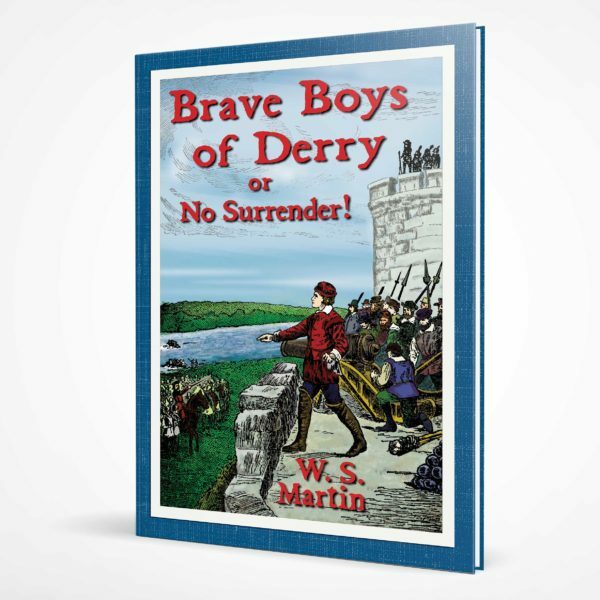 Nordskog Publishing has reprinted the Brave Boys of Derry or No Surrender!, which was originally published in 1986 by the Mourne Missionary Trust. The Mourne Missionary Trust is the literature outreach arm of the Mourne Free Presbyterian Church in Kilkeel, Northern Ireland. It was founded in 1977 with the purpose of reaching out to the community with good Christian literature. While not much is known about W.S. Martin, the author of Brave Boys of Derry or No Surrender!, he was a stationer and was partner in the City of London firm, Martin & Purnham. He spent his last days in Felpham in Sussex, England and used to attend services at the Chapel of the Bannister, Theological College in Felpham. Other works by W. Stanley Martin include Editor of “Uncle Ben’s Budget,” 226 issues from March 1898 through Dec. 1916; and Author of “The Story of the Light That Never Went Out” with Augusta Cook; and “Some Famous Bonfires”; “Turn or Burn”; “Fires hips, Fireworks, and Firebrands”; “The Man Who Fought the Giants” [Luther]; “Torchbearers of France and the Netherlands”; “William the Silent and Holland’s Fight for Freedom,” 1907; “The Tinker of Bedford and the Book that He Wrote” [Bunyan]; etc. In the vast panorama of politico-religious conflict throughout the ages, the siege of Londonderry seldom rates more than an historical footnote, which is a shame since it epitomizes the very best and the very worst in human nature. After this little bit of treachery had been satisfactorily arranged, the miserable traitor Lundy privately sent a messenger to the headquarters of the enemy, telling them that they could depend upon the garrison surrendering when the formal demand was made. But this was not to be; Protestants were not thus to be sold to their worst foes; God had better things in store for the north of Ireland than that, although it was to mean terrible suffering for those who were to keep the grand flag of “No surrender” flying. And suffer they did, from starvation brought on by the Jacobites and needlessly prolonged by the relief forces themselves; from treachery within their ranks; from repeated attempts to breach the walls; and even from a rampant paranoia that led many in Derry to suspect their own worthy leaders. Morale may have ebbed low, but the determination not to surrender and their unswervable faith sustained them. In a former book I told you the story of how King James II was sent about his business because he tried to again bring England under the power of Romanism. But though James ran away as quickly as ever he could, when he found that the Prince of Orange was actually on his track, he did not by any means give up hope of returning once again to the shores of old England, to try once more to accomplish his knavish tricks. It would have been very easy for the Prince of Orange and his supporters to have put James in prison, and let him feel the strong arm of the law that he had so despised; but there can be little doubt they did not want the trouble of disposing of another troublesome Stuart king in the same manner as Charles I had been dealt with, so they gave him every opportunity to escape. And so one dark night away he went to France, to his dear friend Louis XIV, and these two worthies were soon plotting and planning the downfall of England, and especially the uprooting of England’s Protestantism. . . . . [however] although James was turned out of the front door in England, he hoped to gain an entrance once more by the back door. The back door was Ireland, and to that “distressful country,” he with the help of Louis was soon speeding his way, and arrived there in due course. He was accompanied by a number of French officers, who were to do their best to reduce the wild hordes of the Irish to a disciplined army, and to teach them the polite manners practised in France. We shall see later on what these manners of polite French society were like. Brave Boys of Derry would be a good book for younger readers, starting at middle school level, but adults unfamiliar with this phase of history would also benefit. As the author states in his introduction, The Brave Boys of Derry is a true historical narrative of how courageous young apprentices helped save their besieged Protestant town of Londonderry in 1689. This book was amazing! While this was a reprint from the early 1900s, it was a great decision by Nordskog to get this book in circulation again. It is a must read for freedom loving Americans. The story was inspiring and the text was well-written and engaging. Whether you are looking for a good supplement to your history class or a good piece of classic literature to appeal to your young boy, this is the book! It is a true historical narrative of courage and faith – of battles and standing firm. “No Surrender!” was the cry of thirteen young boys who refused to give up the city – they became champions of God when the leaders would not. 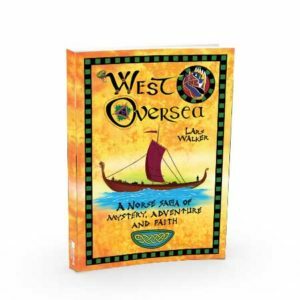 This book is written in such easy language that even an older elementary age student would enjoy it very much. History comes alive and leaps off the pages. Before a student realizes what has happened they have soaked in the historical events of 1689 and become familiar with King James II and other nobles. They will learn that God reigns supreme in all affairs. After reading this for myself in one sitting – I am currently reading it to my children (ages 7 and 9). They find it as exciting as any book they have read. How could facts of history be so much fun to learn about? I think that is always the way it is when things become personal and are made real to the student. Children see that age does not matter – the heart surrendered to God does, and ALL things are possible under His protection and will. This is one of a series of books designed for young readers. It is an inspiring look at how the “Boys of Derry” defended Londonderry, Northern Ireland in 1689. This is of the same genre as the G.A. Henty series, but briefer and more simply written. In addition, the boys in this account are not fictional boys added to the historical events, but were actually involved in the historic event. So this book is history rather than an historical novel. The villain of the story is James II, the last of the Stuart monarchs. Fleeing from England when William of Orange claimed the throne, James still plotted with France to regain the throne and displace Protestantism with Romanism. If he could take control of Ireland, it would be a “back door” entrance into England. He felt that the largely Roman Catholic population of Ireland could easily be turned against the Protestants; he was correct in this opinion. He also thought Londonderry would surrender at the sight of his army; he was very mistaken in this opinion. AS the leadership wavered, some wanted to open the gates to the army of James with its French officers. But 13 young apprentices locked the gates while shouting “No surrender!” The city was ill prepared for a siege: its wall were not strong, its provisions too meager, the treacherous “enemy within,” and the ravages of disease. Could the townsfolk defend the city against the hordes of professional soldiers? They had faith in God, earnest prayer, and a liberty loving bold pastor-governor Walker. W.S. Martin’s Brave Boys of Derry, or No Surrender! is a short retelling of the siege of Derry castle in Ireland. It provides a concise and packed historical profile of the conflict between Protestants and Catholics in Ireland in 1680. A group of Protestants fleeing the approaching army of James II holds up in an under-provisioned and under-defended castle. The poorly equipped group relies on God and eventually comes out victorious and free from their oppressors. Martin’s book is a very interesting and informative narrative of these events. It shows a key incident that many might not know about. The book is short enough to be easy to read, with enough content to be a good introduction to the conflict. It provides a brief look at the cause of the siege, conditions in the castle, and how it the ordeal finally was resolved. The important points, historically, are mentioned simply and are easy to understand. There are deep spiritual points in this book as well. The overall theme is that trusting in God will pull you through any dire situation. 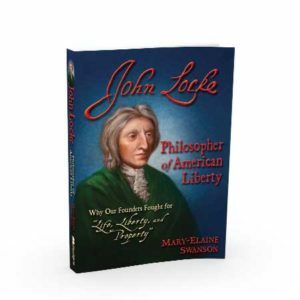 Martin’s book is a case study of resisting persecution and depending on God. There are some issues, however. Martin makes the claim that he is writing this to be read by children, but his style doesn’t always match this claim. He uses a loftier tone and some images that younger children could be put off by. Sometimes it feels as if paragraphs are rambling, struggling to get to the next point. The poem at the end, “The Siege of Derry,” by C.F. Alexander is not vital to the book, and is not something a young audience could easily understand. It makes for a good artistic add-on, but adds little value to this work. Martin’s book is a very informative work, something definitely worth reading. A little higher reading level is needed to get everything out of it, but the main messages are very clear and powerful. 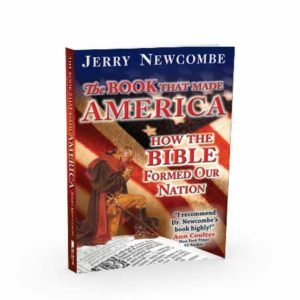 I would recommend this book to Sunday school teachers and parents looking to teach some Christian history to their children. Brave Boys of Derry, or No Surrender! was written around 1900, and according to Marion Hyde, Librarian of The Gospel Standard Baptist Library who have an undated original, was first published by Morgan Scott, London. Editor of “Uncle Ben’s Budget,” 226 issues from March 1898 through Dec. 1916; and Author of “The Story of the Light That Never Went Out” with Augusta Cook; and “Some Famous Bonfires”; “Turn or Burn”; “Fireships, Fireworks, and Firebrands”; “The Man Who Fought the Giants” [Luther]; “Torchbearers of France and the Netherlands”; “William the Silent and Holland’s Fight for Freedom,” 1907; “The Tinker of Bedford and the Book that He Wrote” [Bunyan]; etc. Do you think young people never exhibit courage or faith? This book might change your mind. It’s the true story of the 1669 siege of Londonderry, Northern Ireland; it proclaims the power of God in the incredible resistance of he City of Londonderry against the attempted Jacobite conquest of Ireland by the deposed King James II of England. While the city vacillated, thirteen bold and brave young apprentices took the imitative to close the city gates. The rallying cry became, “No Surrender!” Faith in Christ gave the people of Derry the courage to resist in the face of extended siege, blockade, starvation, and disease. Their sacrifice ensured that Protestants in Ireland would not be murdered for their faith.